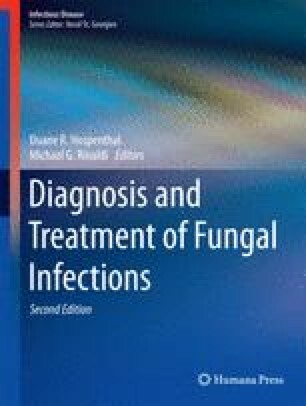 Microscopic appearance of fungi in tissue or body fluids, in conjunction with the inflammatory response, tissue of origin, and clinical setting, can often be diagnostic. Although budding yeasts and spherules are easier to identify in tissue than molds, distinction between septate hyphae and nonseptate or pauciseptate hyphae is helpful. Phaeohyphomycete hyphae also have distinguishing features that can suggest their presence. This work was supported by the Division of Intramural Research, NIAID, NIH, Bethesda, Maryland.